Yesterday, I received the incredibly sad news that Ernst Ligteringen – my former CEO at GRI and, my friend and Datamaran’s trusted Strategic Advisor, had passed away. I had planned to see Ernst in the evening as he was visiting his family in London. We would always meet at various locations in the world as he was a frequent traveler and after his long tenure at GRI he chose only to be involved with projects that he was extremely passionate about. Last time we met in person was at the Telefonica Stakeholder panel he chaired in Madrid where Jerome and I were able to introduce our new colleague Leonardo Gutson to him. He immediately offered his help with the Spanish and Latin-American markets. The time before we were in India – he was speaking at a conference and as we were accompanied by Ms Ambalika Gupta (at the time our client at Mahindra), Ernst said “you should hire her”. Ambalika started in early May. 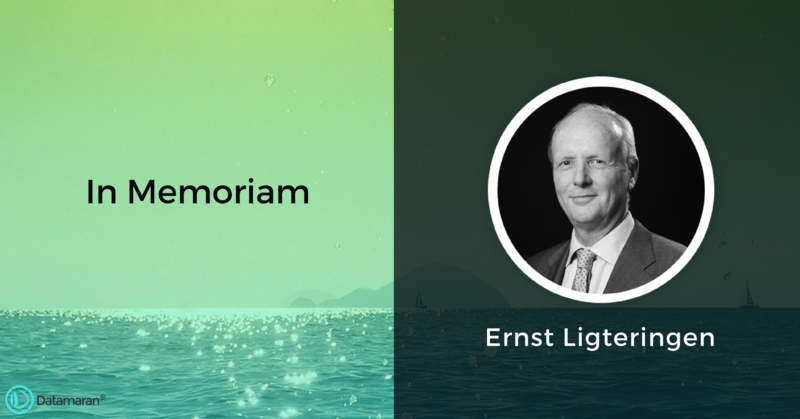 Ernst’s leadership, his persuasion and foresight brought GRI from a pioneering club of passionate people – to a mature and sophisticated organization that influenced the entire business community. GRI standards are now being used by 10,000s of companies worldwide to report and measure their ESG performance – as mainstream as reporting financial performance. One advisor once said to me as he saw the video of Ernst (seen below) – “Marjella, that man oozes credibility”. And that I think that illustrates Ernst’s personality well. He was passionate, well-spoken and credible – he was able to get anyone to listen to him, connect with people from any background and social status, and with that skill he was able to make significant moves in society and the global business community in particular. I started as an intern at GRI in 2007 – Ernst was my CEO – he was impressive and always traveling, I so looked up to him and still do. When we started eRevalue (now Datamaran), he got involved immediately and became a mentor like no other. I asked him how to be a CEO, and he started guiding me. Always volunteering advice, always ready to help out – and never asking anything in return. He had very clear ideas on where the business should go and I appreciated this challenge (!). In his mentorship, I’ve only experienced kindness and positivity and for that I will always be grateful. My thoughts and those of the co-founders and larger team are now with his family who will be gathering in London today. I wanted to share this with you – as he meant a lot to me and to us – and he made me believe I could do this. I will keep on pushing our work at Datamaran – we are one of the projects that continue the legacy that Ernst started. I hope we’ll make him proud.